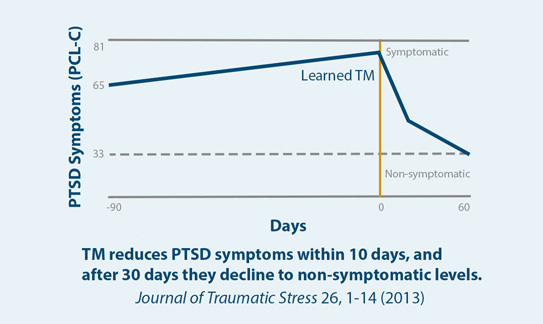 More than 1500 veterans and active duty personnel with PTSD and TBI have learned the Transcendental Meditation® (TM) technique. 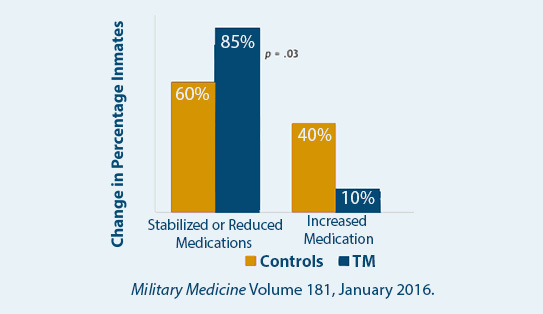 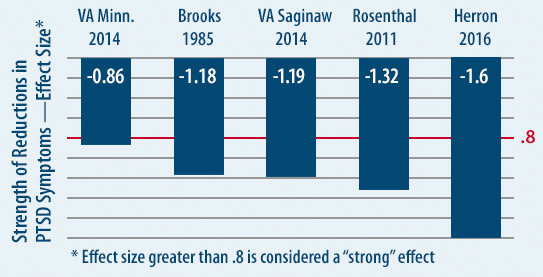 Research studies, involving more than 300 veterans and active service personnel, have shown positive results from TM® practice. 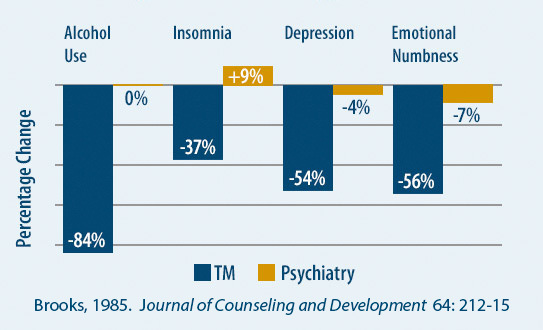 These findings are corroborated by the extensive body of research on TM over the last 45 years showing its effectiveness at reducing stress and stress-related conditions. 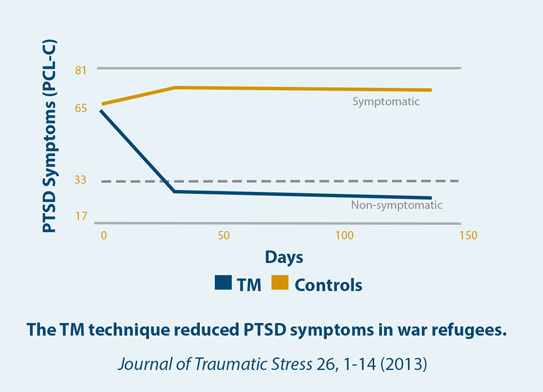 There is also a large body of testimonials supporting the effectiveness of TM for reducing PTSD symptoms.